While you're job searching, it's important to be prepared for a phone interview on a moment's notice. Many companies start the interview process with a phone call to discuss the job opportunity with a prospective employee to determine if the candidate is a good fit, and to gauge his or her interest in the job. In many cases, your interview will be scheduled in advance by email or phone. In others, you may receive a surprise call. You never know when a recruiter or a networking contact might call and ask if you have a few minutes to talk, so always answer the phone professionally, especially if the number is an unfamiliar one. You should also make sure that your outgoing voicemail message is professional. Why do companies use phone interviews? 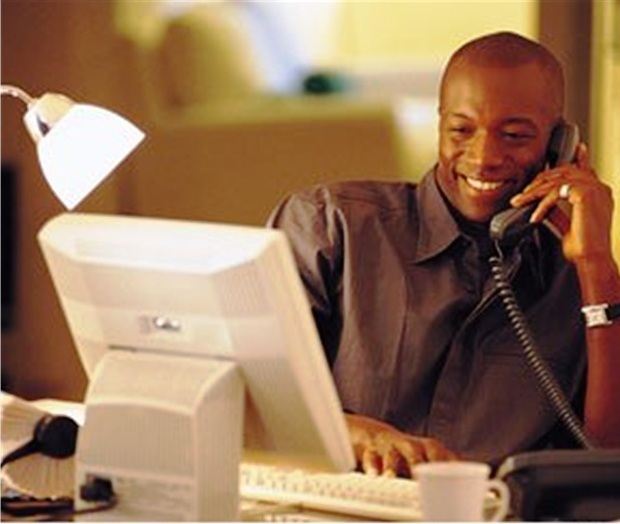 Employers use telephone interviews as a way of identifying and recruiting candidates for employment. Phone interviews are often used to screen candidates in order to narrow the pool of applicants who will be invited for in-person interviews. Take the time to match your qualifications to the job description, so you can speak to why you're a strong candidate for the position. Review your resume, as well. Know when you held each job, and what your responsibilities were. Talking on the phone isn't as easy as it seems. As with an in-person interview, practice can be helpful. Not only will this help you rehearse answers to common phone interview questions, but it will also help you realize if you have a lot of verbal ticks, fail to enunciate, or speak either too fast or too slow. For practice, have a friend or family member conduct a mock interview and record it so you can see how you sound over the phone. Once you have a recording, you'll be able to hear your "ums" and "uhs" and "okays" and then practice reducing them from your conversational speech. Listening to the recording will also help you pinpoint answers that you can improve. Turn call-waiting off, so your call isn't interrupted. If you have a landline, use that instead of your cell phone. That way, you'll eliminate the possibility of poor reception or dropped calls. Do use the person's title (Mr. or Ms. and their last name.) Only use their first name if they ask you to. Do take your time - it's perfectly acceptable to take a moment or two to collect your thoughts. Review more phone interview do's and don'ts to prepare. Use the interviewer's title during the conversation (Mr. or Ms. and their last name.). Only use a first name if they ask you to. Otherwise, use the formal title. Listen carefully to the interviewer and don't start speaking until the interviewer finishes the question. If you have something you want to say, jot it down on your notepad and mention it when it's your turn to talk. Don't worry if you need a few seconds to think of a response, but don't leave too much dead air. If you need the interviewer to repeat the question, ask. It's important to take time to review the typical phone interview questions you'll be asked and to prepare answers. Plan on being prepared for a phone conversation about your background, skills, and qualifications for the job. When you are invited for a phone interview, in addition to reviewing the typical phone interview questions you'll be asked, it's important to have a list of questions ready to ask the interviewer.